1 Bdrm 1st flr Flat. Hall. Lounge. Kitch. Bdrm. Shower rm (CT band - B). Fixed price £100,000 Entry by arr. Viewing 07801 199287 or contact solicitors. (EPC band - C). 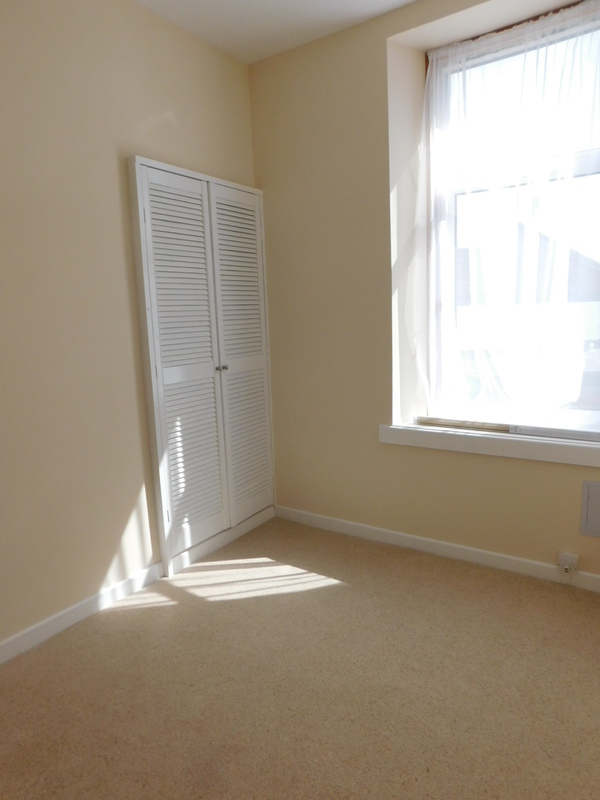 Accessed off a quiet street in Aberdeen's west end, we offer for sale this attractive one bedroom first floor flat. The entry to the property is via exterior steps which are accessed from Broomhill Terrace, with the flat enjoying a pleasing lounge which overlooks Broomhill Road. 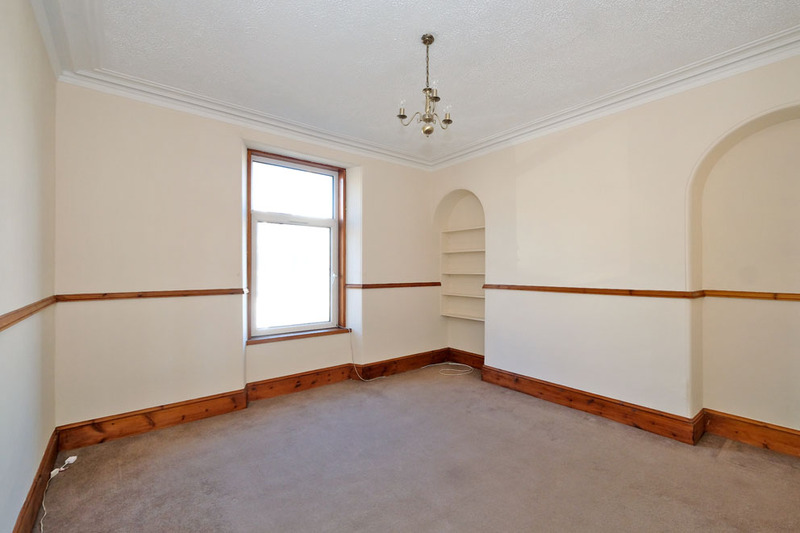 The lounge is a traditional room with high ceiling, coving, arched alcoves one having shelves, stripped and stained wooden skirtings and matching picture rail. The kitchen, located to the rear, has a range of base and wall units, finished with attractive splashbacking, stainless steel sink and drainer with mixer tap, built-in under oven, ceramic hob and overhead extractor hood. To remain is the washing machine and there is space for a fridge/freezer. Also to the rear is a double bedroom which has a louvre door storage cupboard accommodating the gas central heating boiler and to complete is a shower room which benefits from two doors, one accessed from the hall and another one giving access to the bedroom. 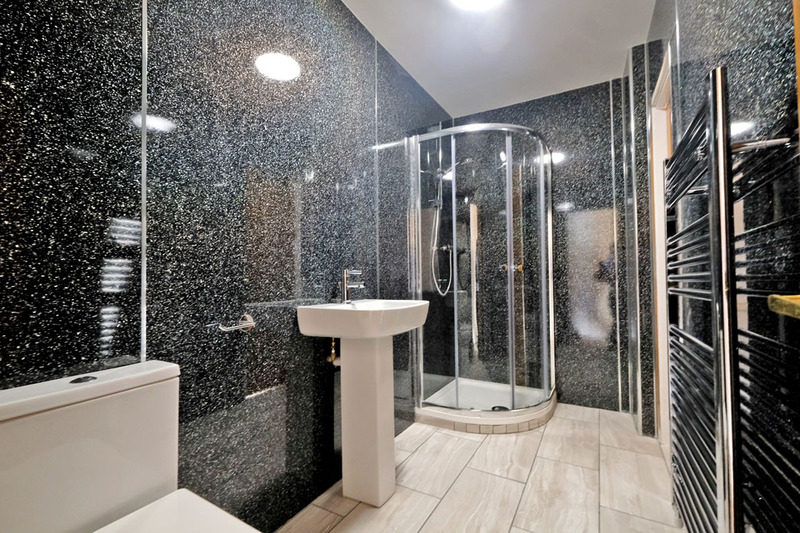 It has been totally refurbished featuring attractive Aqua panelling, corner located shower cubicle with mains shower, white pedestal wash hand basin and WC completed with tiled flooring. 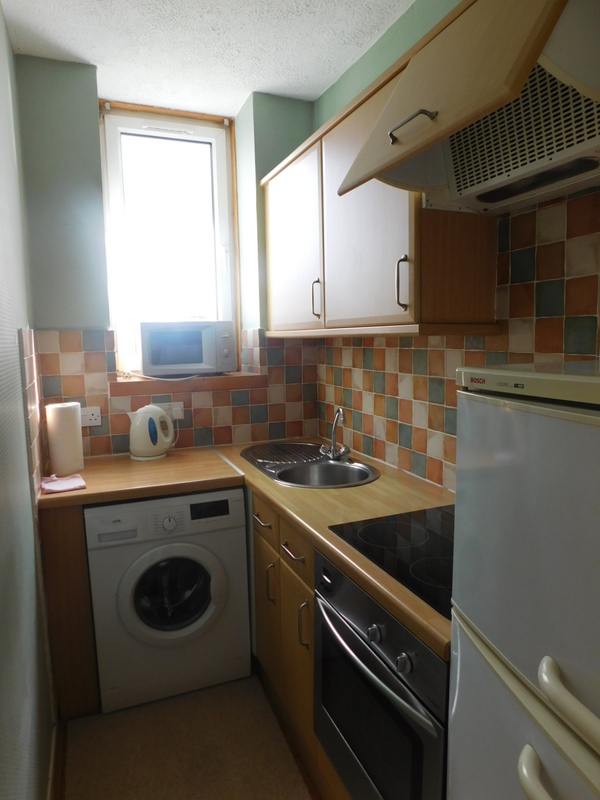 The property is serviced by full gas central heating and double glazing. It has a shared garden to rear, exclusive outhouse and shed. Lounge 13'9" x 13'6" (4.19m x 4.12m) approx. Kitchen 8'5" x 4'5" (2.57m x 1.35m) approx. Bedroom 10'5" x 7'1" (3.18m x 2.16m) approx. Shower Room 8' x 6'2" (2.44m x 1.88m) approx. To be included in the sale price are all fitted floorcoverings, light fitments and kitchen white goods. Directions Travelling from Union Street continue onto Holburn Street, proceed to the roundabout at Great Southern Road, continue straight across and at the next small roundabout exit onto Broomhill Road. Continuing along Balmoral Terrace is situated on the left hand side, with No. 5 clearly indicated on the left. 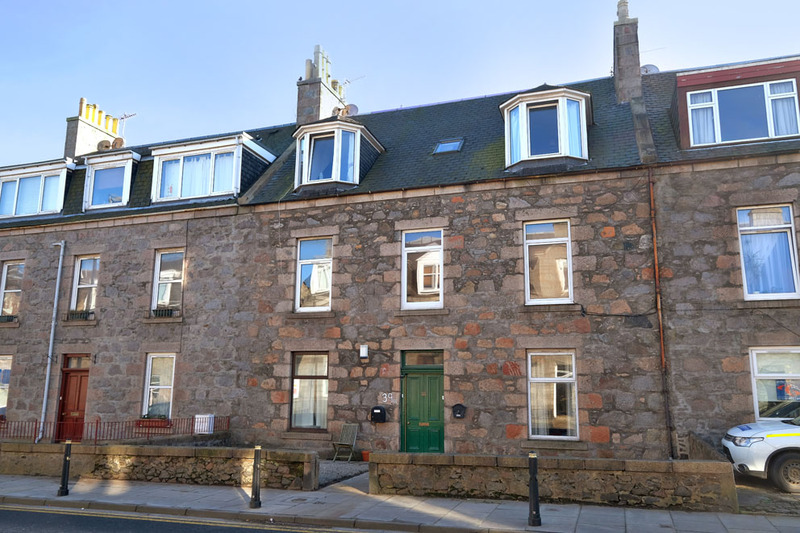 Location Balmoral Terrace is a quiet small street situated off Broomfield Road, well positioned for a good range of local amenities and within walking distance of the west end of Aberdeen city centre where there are excellent recreational and shopping facilities. There is good public transport which makes many areas of Aberdeen easy accessible. A short drive leads to Great Southern Road which in turn gives access to the main Aberdeen ring road providing commuting to both north and south of the city and there is a further easily accessible range of shopping amenities at Bridge of Dee including ASDA and Sainsbury's supermarket and further retail units.